My interest is in developing knowledge that can help solve natural resource-related problems through the collaboration of stakeholders and researchers. I consider myself an environmental geographer who focuses on the impacts of and feedbacks to landscape change. 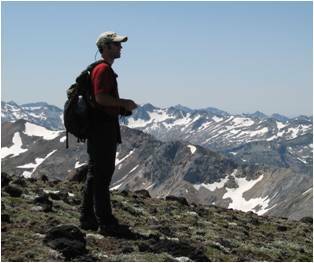 Broadly, my research is focused on the social and ecological impacts of landscape change. By examining the spatial extent, pattern, and physical processes and human livelihoods associated with change, I aim to provide better information to resource managers, local people, and institutions that can lead to improved management and policies towards protected and non-protected lands. My particular interests lie in landscape fragmentation; conservation and management of forestlands; and protected areas and neighboring communities. My research involves large interdisciplinary teams. I collaborate and partner regularly with ecologists, primatologists, climatologists, anthropologists, sociologists, geographers, landscape ecologists, biologists, foresters, and local stakeholders. Currently, my main research sites are in the Albertine Rift of Uganda and eastern Oregon. I also work closely with the Carsey Institute at UNH.